Maybe I'm a little late jumping on the Christmas Gift Guide bandwagon but being stuck ill indoors has meant I haven't been able to go out shopping and I'm panicking a little that I'm gonna end up having to do a Joey and Chandler! So I've been looking on t'interwebs to get some ideas, unfortunately this year I'm on a bit of a budget (booo, budgets!) so I've had to find gifts that aren't too pricey. However, cheap doesn't mean crap, there's some cute things about! I thought I'd do my gift guide for 'her' (that's kinda rude, 'her.' I mean for the ladies) first because it's the most fun! I'll try and put together one for the boys and the kids too, I've decided almost a week too late to do Blogmas so we'll see how that goes! For the under a fiver category I've decided to stick with homeware because to be honest I think if you're gonna get someone make up it's generally something that they buy for themselves often, the majority of it probably being drugstore products so I think it's nicer to get something a bit high end beauty wise because they're less likely to treat themselves to that meaning it'll be a bit more special. Plus there are some surprisingly lovely things in Dunelm and Wilko (of all places! Their wrapping paper and accessories are definitely worth checking out too.) These would make cute Secret Santa gifts but I've seen most of these in store and they're actually the same quality as similar stuff that's at least double the price in other shops. If you have a bit of extra cash to spend (and if you wanna!) you could add stuff with them, for example fill the jar with some pamper goodies, sweets or homemade biscuits. By the way, I know the pom pom cushion is a bit out there but I think it's super funky, if it fit into my room decor I'd snap that right up! Everything I've picked out is to my taste but they have such a huge variety of stuff I'm sure you'll be able to find other things perfect for the person you're buying for. I'm lucky because I work so close to the & Other Stories store on Regent St so I'll be popping in there to make a few purchases in the beauty section, I'll make sure to buy a few body scrubs in particular because they really are something else. Not only do the products work well the scents are beautiful and I love the sleek, expensive looking packaging. I know that the people I'm buying for haven't tried anything from the brand before so it'll be a bit different to the usual bodycare gift sets that people usually receive. A notebook because we all love them, Paperchase obvs has the cutest ones! A hot water bottle because despite them being a bit grannyish I think secretly there's nothing better than snuggling up in bed with one on a cold night (apart from maybe a snuggle with Ryan Gosling...a girl can dream!) A tartan scarf because I don't think you can go wrong with such a classic and a personalised mug because I think that personalised things look cool and they add a bit of thought to the gift. I love these little pouches, they come in loads of designs and I just think they're really sweet. A photo frame is always best with a photo included, makes it more personal and thoughtful. We all love Primark jimjams but sometimes it's nice to go a wee bit posher, not that H&M is posh but these pjs are so chic and look more expensive than they are. 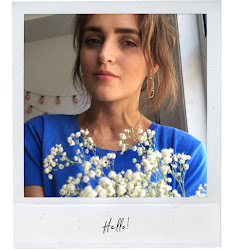 One thing Oliver Bonas does well is pretty, dainty jewellery, often at bargain prices and I can vouch for the quality because I've owned many beautiful, unique (and often animal themed, you know me) pieces that have lasted for years and are still going strong. Finally, The Meringue Girls Cookbook for the lady that likes to cook so you can go round later and eat the goodies she makes haha. So that's round one of my gift guide, hope you like! One thing I'd say is don't stress if you think it doesn't look enough, I often do that and end up spending more money than I have because I think my gift looks too small. I don't know about you but I've never received a present and thought 'Is that it?' so I highly doubt that many other people do (and the ones that do think like that don't deserve a present anyway!) I know I'd rather get one lovely thing instead of too much tat. As for buying for friends, make sure you all agree on a budget because no one wants to feel bad because someone gave them a more expensive gift, right? Also, me and my friends often go in together on gifts for each other, especially when budgets are tight. For example, me and my best mate have put our money together to get our other best friend some Benefit make up which is something neither of us could really afford on our own. I think it's a nice idea because that way you get to give something a bit more special and something that the person will appreciate rather than a load of cheaper things. Hope this has been somewhat helpful, or at least fun to read (I personally am loving reading all the gift guides!) Make sure you link me up to yours and I'll hopefully be back tomorrow or Sunday with one for the boys. Love this list, Josie. And it's a good idea to do what u and ur friend did and share on a gift to get something more special . I love that you picked such well-priced gifts! These are all so wonderful! love the wooden candle holder, so beautiful! Its unbelievable that these are all under 5,10 and 15 £, they look worth much much more, such brilliant ideas! Your comment meant a lot to me...Thank you dear. These are great ideas, you have an excellent taste.